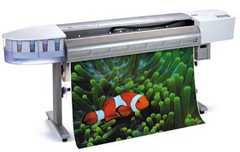 Facilitated by an effective combination of digital technology and advanced photo printing techniques, printing photos on canvas is one of the greatest innovations in the photo printing industry. Realizing the benefits and high demand of digital photo printing services, Superchrome, a UK based business process outsourcing company, has been formed with the intention of accomplishing the dreams of photographers and artists worldwide. We believe in accurate and quality services, along with fast and cost-effective processing. Superchrome, since its inception, continues to serve clients with digital photo printing on a variety of materials, especially on canvas. We employ various procedures like digital printing, scanning, re-touching, reproduction of photo, exposure correction, and photo re-sizing and formatting while printing photos on canvas. We can easily convert images from your digital camera, negatives, slides or photos onto canvas, without altering the original masterpiece. Each and every photo thus printed, has the same feel and look as your favorite masterpiece, hence treasuring your precious memories as such for years. We can also convert the artworks of your children into dazzling canvas prints. We use only superior quality canvas fabric made of 100% pure cotton. This is ideal for fine art printing and incorporates photo-realistic images brilliantly. Superchrome canvases are just the right medium for printing full color or black and white images. The use of pigment-based waterproof inks complements the printing quality. Our printing process utilizes a six-color UV ink system that lends the UV resistant property to the prints. For utmost durability, the photo canvas prints are coated either with a matte or glossy finish and laminated to ensure print permanency. Upon request, we also perform stretching and framing services. We can perform canvas printing on any size as required. We also specialize in wide/large format printing. Our printing services are appropriate for short runs or long runs. We offer online photo printing solution accessible from anywhere in the world. So contact us to place your orders by phone or e-mail or discuss your queries through our live chat facility. Contact us at 020 7237 9333 or fax 020 7237 9444 or email sales@superchrome.co.uk to know more about printing photos on canvas. Our experienced personnel would be able to guide you appropriately.